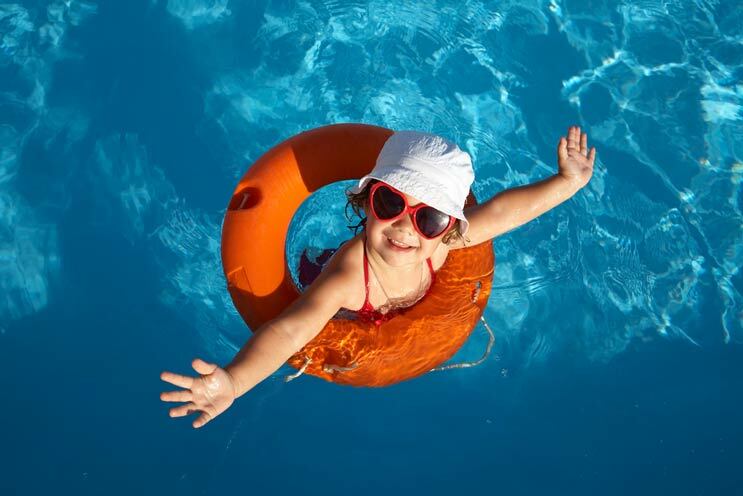 It’s hot outside, and when you simply cannot keep your kids cooped up inside any longer, your first destination is to hit up the swimming pool—which means it’s time to relook at pool safety tips. While swimming can be a fun way to cool off, get exercise and have fun with friends, it can also be incredibly dangerous if you don’t exercise proper precautions. According to recent reports from the CDC, “one in five people who die from drowning are children 14 and younger. For every child who dies from drowning, another five receive emergency department care for nonfatal submersion injuries.” That’s a lot of terrible tragedies and scary pool-related incidents that can and should be avoided. As a parent, you, of course, want your kids to have fun, especially during their summer break. But more than anything it’s your job to make sure they are also safe at all times. Whether you have a private pool or you visit a public facility, it’s important to not just be familiar with, but also practice pool safety. According to Consumer Product Safety Commission Chairman Elliot F. Kaye, “drowning continues to be the leading cause of unintentional death for children ages 1 to 4.” The first rule of thumb when it comes to summertime and pool access is to never allow your children to enter a swimming pool without an adult being present. It’s pretty basic: if you keep kids away from pools and spas when you are not there, you can prevent an unnecessary death by drowning.